These Natural Treatments for Cancer in many cases are just normal foods you will find in your natural foods store. The problem is you just haven’t been eating these wellness foods and drinks in your daily diet. That is about to change. You have heard this statement, "you are what you eat." Eating the right kind of foods can be therapeutic for your body. Just the same, eating the wrong kind of foods can help cause disease. In this Chapter we will focus on some key Natural foods that are included in "My 60-Day Planner." The truth is sometimes hard to figure. At one time eggs were very harmful for you because they were high in cholesterol, which was technically true (the fiction). Recent studies show that the truth is they are high in the good cholesterol and are one of the most nutritious foods you can consume. For decades Americans were conned into reducing their consumption of eggs because of incorrect assumptions. Coconut Oil is high in saturated fat! Well that means Coconut Oil is a health risk because saturated fat is bad for you and causes heart disease. Lets breakdown this statement “Coconut Oil is a health risk because saturated fat causes heart disease”. Where did this come from? Scientific and political propaganda by the American Soybean Association (ASA) and the Center for Science in the Public Interest (CSPI) have basically joined forces in a campaign to replace tropical oils with polyunsaturated soybean oil from American farmers. As a result of their campaign many food processors switched from coconut to polyunsaturated oils (soybean, corn, vegetable, canola). Blinded by negative publicity (by the ASA and CSPI) medical doctors supported the switch to polyunsaturated oils as heart healthy. However, no documentation was provided by either group that showed Coconut Oil caused heart disease. In fact in the 1980’s and 1990’s study after study showed that the polyunsaturated fats (hydrogenated oils) contributed to heart disease as well as other health problems. Unfortunately the fictional message by ASA trumpeted over scientific fact. Isn’t it interesting that as these polyunsaturated oils became popular, which were promoted as HEART HEALTHY, the risk of heart attacks during this period increased. Studies on people who live in tropical climates who have a diet high in coconut oil have almost no heart disease, cancer or prostate problems. Look at the evidence. Pacific Islanders whose diet is high in Coconuts rarely have any degenerative diseases and are active even at a very old age. Heart disease, cancer, diabetes, and arthritis are almost unheard of – to those who continue traditional native diets. When these Islanders abandon their traditional diets in favor of Western foods, their health deteriorates. What are some Natural Treatments you can use to overcome your fungus causing cancer? Lets quickly review the important food, drink,and supplements you need to include in "My 60-Day Planner”. Treatment # 1: Flood your body with oxygen. Remember what we said earlier in Chapter 2. Cancer can only survive in an anaerobic environment. An anaerobic environment lacks oxygen. Fungus, Mold, and Cancer cannot survive in an oxygen rich environment. It seems simple enough; lets flood your body with oxygen and kill your Fungus, Mold, and Cancer. How do you flood your body with oxygen? Drink therapeutic Alkaline Water. Alkaline Water will help flush the toxins out of your body, and kill the fungus causing the cancer. Drinking Alkaline Water will enhance your Blessed Herbs Body Cleanses talked about in Chapter 6. Water" is sometimes referred to as ionized water.) During this process, the water is split into two streams — Alkaline Water and acid water. Before going through this process, ordinary tap water has an acidic pH. During ionization, water is split into acid and alkaline streams. In the case of a water ionizer, the alkaline stream is dispensed and the acid stream is discarded. Another important property of alkaline water is microclustering. Tap water tends to come in large clusters of 10 to 13 molecules. Ionization breaks up these clusters into smaller groups called microclusters. These tiny clusters permeate through cell walls faster, resulting in quicker hydration as well as easy solubility. Alkaline water is not a chemical, nor does it have anything added to it. Alkaline water is simply water with smaller molecules and a higher pH. •	Water ionizers run water over positive and negative electrodes in a process known as electrolysis. •	The electrodes ionize the water into negative ions and positive ions—creating acidic and alkaline water. •	What water ionizers do is break large water molecule clusters apart, creating smaller clusters of 5 to 6 molecules. •	What smaller clusters of water molecules mean for you is that the water you’re drinking is micro clustered, and more easily absorbed at the cellular level, which means improved hydration and detoxification, as well as improved delivery of nutrients at a cellular level. •	Alkaline water is ideal for drinking, cleaning vegetables, and cooking. Its antioxidant properties promote health. •	Acidic water is a natural cleanser and excellent organic skin and hair toner. Don’t drink the acidic water! •	The astringent properties of acidic water in the 4.0 to 6.0 range are ideal for cleaning and toning the skin but don’t drink the acidic water! •	Used as a rinse when washing your hair, acidic water helps the scalp, reduces tangles and gives hair a radiant shine. It also helps the hair and skin of pets. •	In higher concentrations, acidic water has strong disinfecting properties and can be used for cleaning around the house and for cleaning toothbrushes, hands, and even as a mouth wash.
Where Do I Get this Alkaline Water? 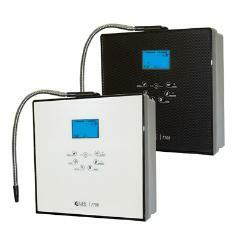 "Life Ionizer®" offers the best Alkaline Water machines on the market. Why? 1. "Life Ionizer®" has the highest therapeutic levels of Alkaline Water in the industry. The higher the alkalinity (ORP- Oxygen Reduction Potential) the more therapeutic for your body. 2. Lifetime warranty on parts and 5 years on labor. 3. NG – “Next Generation” machines include “energized water”. What this means to you is that your water is more than just purified and ionized—it's energetic and healing! 4. "Life Ionizer®" is the only ionizer on the market that is listed in the Physicians Desktop Reference (PDR). The PDR is the definitive guide for nonprescription drugs, dietary supplements, and herbs used by doctors. Click here to read the press release. 5. UV Light Disinfection: "Life Ionizer®" are the only Alkaline Water machines on the market that offer this feature. UV light disinfection effectively sanitizes water by killing bacteria, viruses, mold spores, fungi and other microbiological contaminants giving your water that extra layer of purification. 1. UV Light Disinfection- Additional cost $150. Don’t risk bacteria, mold, fungi and virus coming from your Alkaline Water. Make sure your water is disinfected. 3. NG model – Make sure your water is energized. 5. Filters are included with your system. (See Addendum #3- for more information) You may need to purchase a Pre-Filter if you have very hard water. Why? Hard water will clog and damage your expensive investment and void the warranty. Life Ionizer will provide a Free "hard water" (Scale Block) pre-filter and housing for customers in "hard water" areas (17 grains or higher) and this must be used to provide warranty coverage in these areas, as this stops the build-up of calcium inside the units in hard water areas. If the cost is an issue the 7700 model still provides a therapeutic "Alkaline Water" for $600 less. You can still purchase this model with the same features as the 9100 listed above. Don’t purchase anything yet. See Chapter 11: Getting Started Back to Health for information on ordering equipment and supplements for “My 60-Day Planner”. Treatment # 2: Go on the Anti-Cancer Diet. Eat only foods and drinks that promote health for your body and are anti-fungal while eliminating all toxic fungal foods. See Chapter 4: Anti-Cancer Diet. Treatment # 3: Reduce substantially toxins going into your body during "My 60-Day Planner". Avoid all toxic products and make "Healthy Choices to Reduce Toxins" described in Chapter 1. For a reminder go back to Chapter 1 here. Treatment # 4: Avoid all fungus causing foods and drinks. In Chapter 4 "Anti-Cancer Diet"- we cover the “Fungus Causing Foods and Drinks” you must avoid while on "My 60-Day Planner". Chapter 4 goes into why you are sick because you are eating and drinking the wrong foods. What foods do you need to avoid and which foods will provide you with the therapeutic immune boosting results. See Chapter 4 "Anti-Cancer Diet" for your new life style changing diet. See Chapter 5: Supplementation- Item 14. Many have had success taking this formula because it hunts down and penetrates all abnormal tissue. Very powerful and effective in most cases. Begin taking formula after your 24-Day Cleanse. Treatment # 6: Buy an Indoor Filter to rid the house of Mold Contamination. Read Chapter 7 “Do You Have Mold Contamination in Your Home?”. We detail why your illness could be caused by Mold in your contaminated home. I recommend a filter that kills 99.9% of household mold and spores. Buy at least one filter per floor and put one in your bedroom. Treatment # 7: “Internal Cleanse” by Blessed Herbs. Did you know that 80% of your health or lack thereof is located in your gut. Without a healthy "Digestive Track" you allow fungus to invade your body through your colon. I recommend the “Internal Cleanse” Stage 1 Colon and Digestive System, Stage 2 Liver and Gallbladder, Stage 3 Lungs, Kidney and Bladder, & Stage 4 Lymph, Blood and Skin. This 24-Day “Internal Cleanse” will bring your whole body back to health by cleansing the body’s natural organs of elimination. Treatment # 8: Remove all the Metal from Your Mouth. Read Chapter 8 “Dental Work is it Toxic to Your Health?”. I go in detail why one main cause of your ill health is from all the metal fillings and crowns in your mouth. These fillings contain mercury, copper, cobalt, silver and zinc. These metals leech into your bloodstream and cause havoc on your health. Treatment # 9: Exercise Daily. Exercising daily will allow you to perspire and clean your lymphatic system eliminating toxins from your body. See Chapter 9: Why Do I Need Exercise? Treatment #10: Fast Once a Month. Fasting allows your body to heal faster. Why? The body expends a great deal of energy digesting your food. Fasting leaves more time and energy for the body to heal. See Chapter 10: Fasting. Dr. Johanna Budwig has successfully treated cancer patients with Flaxseed Oil and cottage cheese. Find out why in Chapter 5: Supplementation- Section G. Find out why in Chapter 5: Supplementation- Item 7. Treatment #12: Expose as much of your body to the Sun Daily or take Vitamin D supplements if it is wintertime. Cancer patients are usually Vitamin D deficient. The best source of Vitamin D is from the Sun. Boosting Vitamin D levels can increase your immune response against cancer (fungus). Expose your body without burning to the sun (with no sunscreen) as often as possible. See Chapter 5: Supplementation- Item 1. What is this "Antioxidant Blend?" Lester Parker, PHD, wrote a book called "The Antioxidant Miracle". In this book he discovered various nutritional supplements consisting of: Vitamin C, Alpha Lipoic Acid, Biotin, CoQ10, Folic Acid, Selenium, and Vitamin E can provide the body with total health and healing from oxidation damage caused by free radicals. Read Chapter 5: Supplementation- Item 2. Vitamins and minerals are essential for your body’s health. I have found a liquid supplement that provides the essential nutrients your body needs. Read Chapter 5: Supplementation- Item 3. Treatment #15: Consume at least 6-8 tablespoons of Organic Coconut Oil daily. Cancer is a fungus. Coconut oil provides a powerful Anti-fungal "Caprylic Acid". Read Chapter 5: Supplementation- Item 4. Treatment #16: Consume Anti-fungal remedies. Cancer is a fungus. In order to rid your body from the invading fungus you need to supplement your body with Anti-Fungals. Read Chapter 5: Supplementation- Item 5. In India where turmeric is widely used, the prevalence of four common U.S. cancers – colon, breast, prostate and lung – is 10 times lower. In fact, prostate cancer, which is the most frequently diagnosed cancer in U.S. men, is rare in India and this is attributed, in part, to turmeric. Read Chapter 5: Supplementation- Item 8. . Treatment #18: Take your Calcium and Magnesium Supplements. Calcium is an alkaline, positive mineral that has a powerful attraction for oxygen. This attraction helps alkalize the body by sending oxygen to your system. Fungus causing cancer hates oxygen. Magnesium is needed for the absorption of calcium. Read Chapter 5: Supplementation- Item 15. Apple Cider Vinegar (ACV) is a powerful natural body detoxifier and cleanser. ACV kills germs, viruses, molds and bacteria. I put a tablespoon in my alkaline water and drink it every morning and before each dinner. ACV helps digestion by increasing the amount of hydrochloric acid that is produced by the stomach. See Chapter 5: Supplementation- Item 10. The key to good health as state previously is a healthy immune system. In “My 60- Day Planner” you go through the baby steps to bring your body back to a healthy state again. These Natural Treatment methods are targeted toward building your immune system so your body can fight the fungus causing cancer. 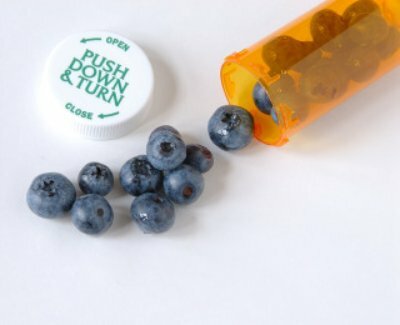 Lets go over the “Anti-Cancer Diet” in Chapter 4. You will begin this Diet on Day 1 of your Planner. NOTICE: Information contained herein is based on my research and is for educational purposes only. This is not medical advice and is not intended to replace the advice or attention of health care professionals. Consult your health care provider before beginning or making changes in your diet, supplements or exercise program, for diagnosis and treatment of illness and injuries, and for advice regarding medications.